Alaskan driftwood. 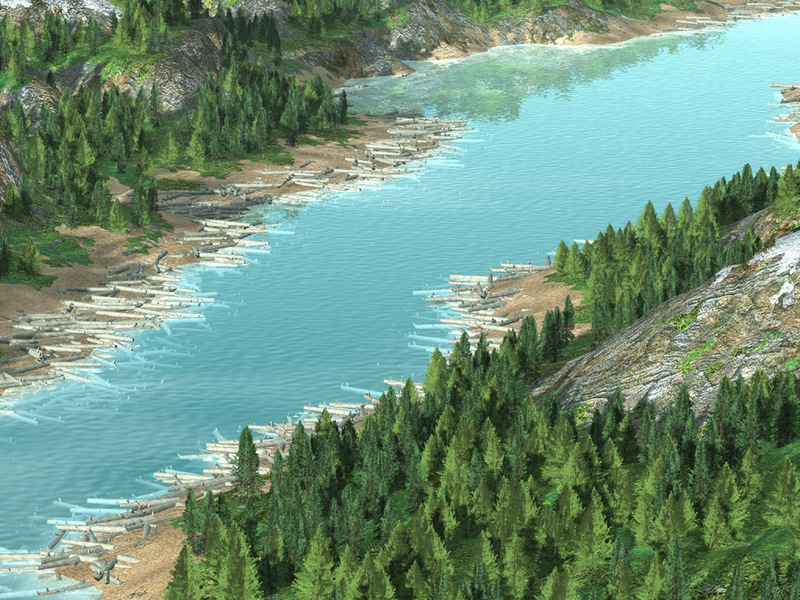 Simplified trees allow to plant impressive amountof vegetation. Driftwood was distributed as ordinary trees rotated 90 deg. Pine. Another rendering inspired by Roger Dean paintings. Swamp. (avi, 1.3 Mb) Test rendering done using 3DS Max and World Builder. Bird model was rendered in Max, the rest of the scene was rendered in World Builder. WB-Max Communicator allowed to bring together shadows and reflections without additional postprocessing step. 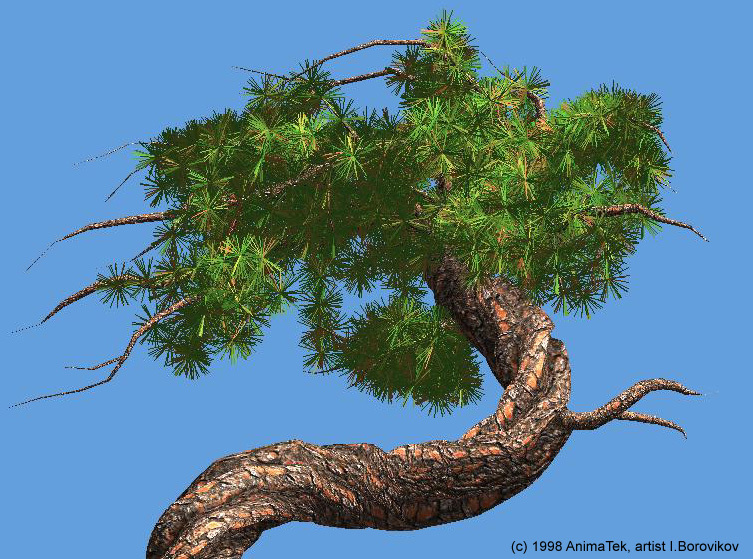 Wind in Birch Trees (mpg, 3.1Mb) Procedural wind animation of trees and grass. Trail cuts through the grass. Pines. 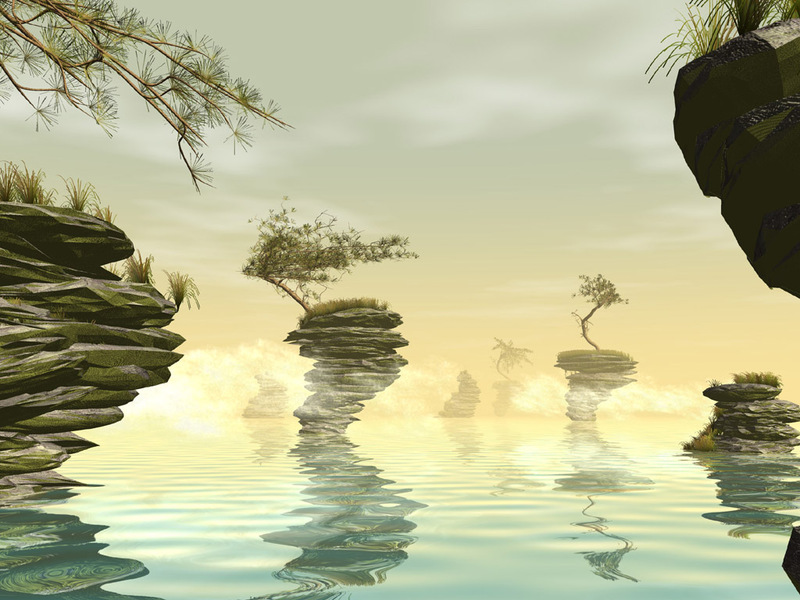 A fantazy image inspired by Roger Dean paintings. 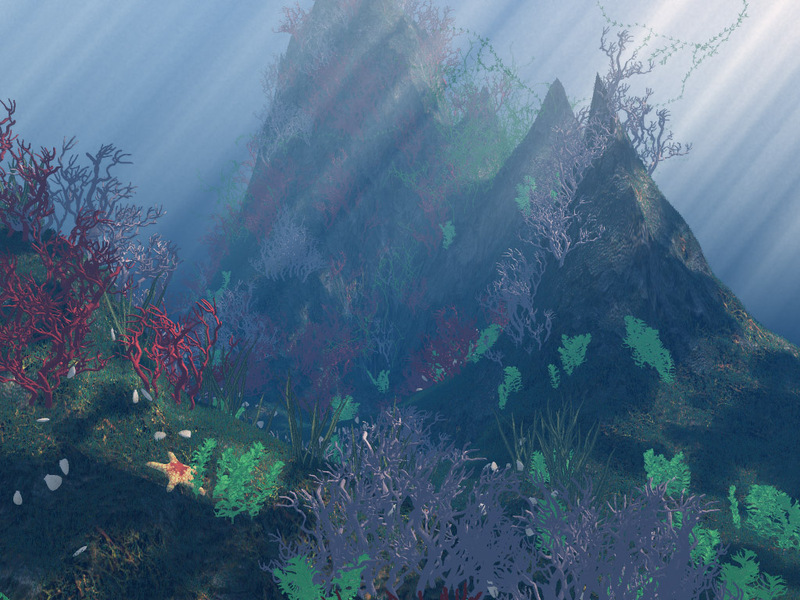 Underwater Scene with volumetric caustics.